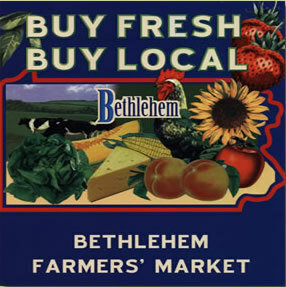 The Bethlehem Farmers' Market, hosted at Lehigh University, takes place on Thursdays from May to October. Along with student environmental groups such as Green Action and Engineers Without Borders, Lehigh has organized initiatives spanning across faculty, staff, and students. In the last five years, campus groups have formed that focus on environmental concerns, from community gardens to efforts to reduce Lehigh's impact on the environment. Individual departments and University Business Services have also looked at green measure. For example, Lehigh's Dining Services has gone trayless in a move to reduce waste, donates grease to a bio-diesel fuel company, and offers reusable take-out containers to students. Transportation, Library and Technology Services, the Bethlehem Farmers Market, and other groups are continuing to work towards a more environmentally friendly and sustainable Lehigh.